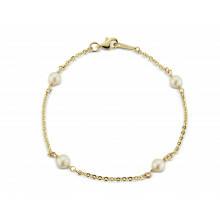 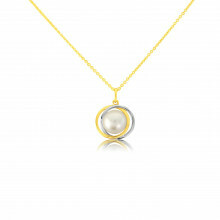 A beautiful Necklace with an open design and a fine Yellow Gold chain. 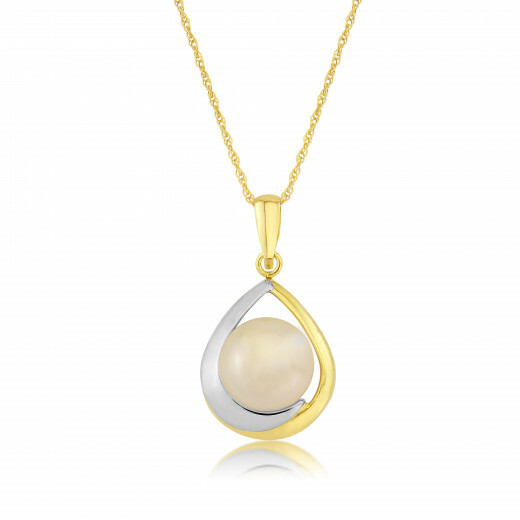 The teardrop shaped open design of the Pendant has a half White Gold and half Yellow Gold edge which cradles a simple 9mm button Pearl. 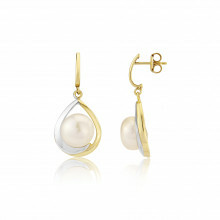 A wonderful little twist to the classic Pearl Pendant design.